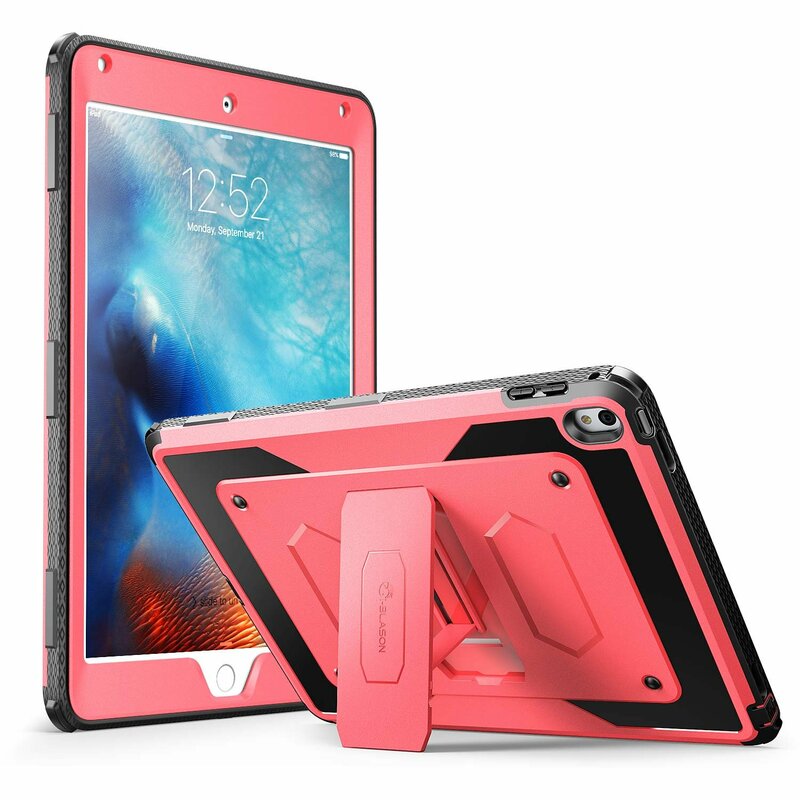 Home › Electronics › Ipad Pro Case [Heavy Duty] I-Blason Apple Ipad Pro 9.7 Inch 2016 Armorbox [Du..
Ipad Pro Case [Heavy Duty] I-Blason Apple Ipad Pro 9.7 Inch 2016 Armorbox [Du..
Color: Pink i-Blason Armorbox for Apple iPad Pro 2016 9.7 inch is the perfect companionfor your new tablet. Featuring a slim profile with dual layer armoredprotection, the i-Blason Armorbox offers full body protection in a slimprofile you'll love. Protect your screen from unwanted scratches andaccidental falls with included Built in screen protector that protects andincreases touch sensitivity. Super slim, lightweight design gives you theprotection you need and the comfort you want without the added bulk. Dottedinner pattern provides excellent shock absorption while the outer profile hasthe contemporary look and feel you'll want to show off. Take your movies onthe go with easy to use functional kickstand feature that allows you to accessyour favorite shows, movies, and games without missing a beat.